In May of 2017, this committee reached out to the local community to host HRH Princess Margriet of the Netherlands in Goderich, Ontario in a historic visit to Huron County. 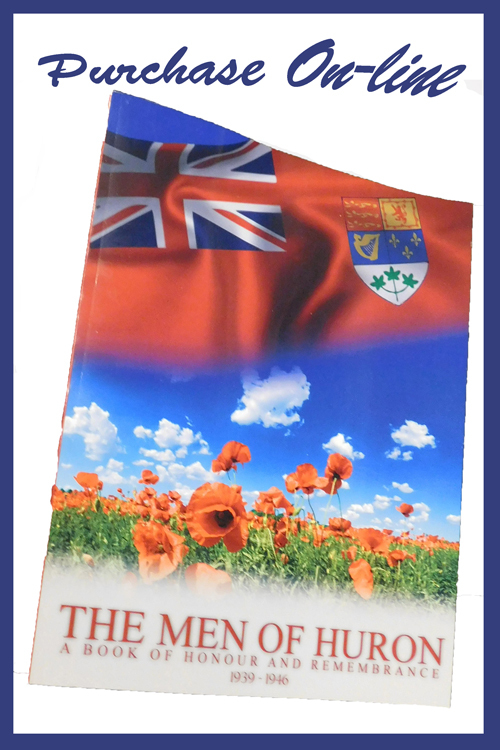 While this was an important accomplishment in itself, the event marked a starting point for an even larger mission; to promote in Canada an awareness and appreciation of the Canadian war sacrifice in Holland. Our committee is interested in developing a legacy communications strategy that will remain long after the 2017 event. This legacy includes awakening a renewed interest in the historic ties between Canada and the Netherlands. The Liberation of the Netherlands in 1944-1945 has had an enduring impact upon the people of the Netherlands and in South-Western Ontario. Canada’s generous and respectful treatment of the people of the Netherlands in their darkest hours paved the way for waves of emigration to Canada in the post war years of World War II. These immigrants worked hard, they prospered and have become pillars of strength in the Canadian economic fabric. Now, as the third and fourth generation of decedents progress through our education system, we are pursuaded we must make a concerted effort to reconnect our youth with this part of Canadian history. While Her Royal Highness Princess Margriet and the remaining veterans are a living connection with the liberation of the Netherlands, unfortunately this generation is now rapidly fading into the recesses of the Canadian consciousness. We feel It is essential that the origins of this great Canadian story be made known to our present and future generations. This website is meant to foster these gaols in te digital age. Over the years, Dutch Canadians residing in Huron County have been actively engaged in showing their appreciation to Canada for its sacrifice in the Liberation of Holland. The Town of Goderich donated a large piece of land to the local Dutch community. Liberation Memorial Park now stands on that property. It is the only one of its kind in Canada. There a celebration of freedom has been held every 10 years. The area has been developed into a beautiful park setting containing a large fountain and a pavillion. 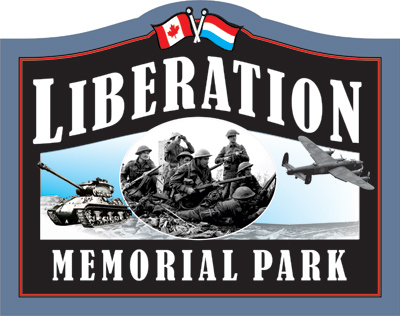 In 2017 we erected new signage identifying Liberation Memorial Park so travelers may know what the park is about. HRH Princess Margriet unveiled a new plaque at the park which is a replication of a plaque on “Hotel de Wereld” in Wageningen, the Netherlands, in the province of Gelerland. The plaque commemorates the German surrender to the First Canadian Army on May 5, 1945. Our plan is to add to the signage a QR code to connect visitors with a this website to inform, educate and engage the public. When the German army surrendered to the Canadian forces it put an end to the Second World War in Holland. We will always remember.